Slime-POV is my own unofficial compile of POV-Ray 3.5. 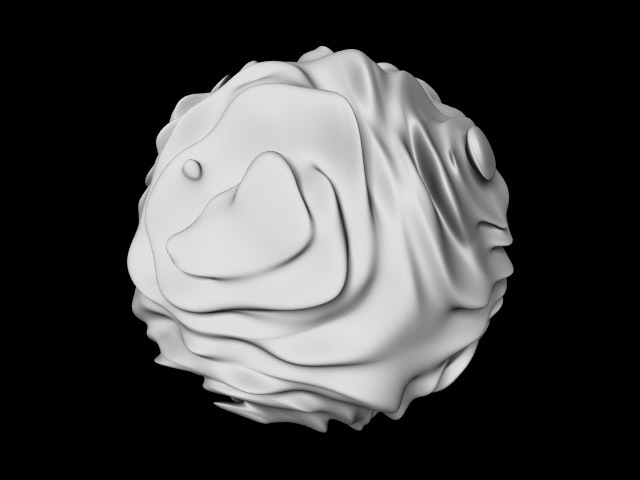 I created Slime-POV because I was trying to make a neat animation, and came up against some of POV-Ray's limitations, including smooth triangle problems and shadow line artifacts, which showed up mainly in meshes. Meshes are very helpful for detailed images or animations with organic shapes. So I decided they needed to be fixed. 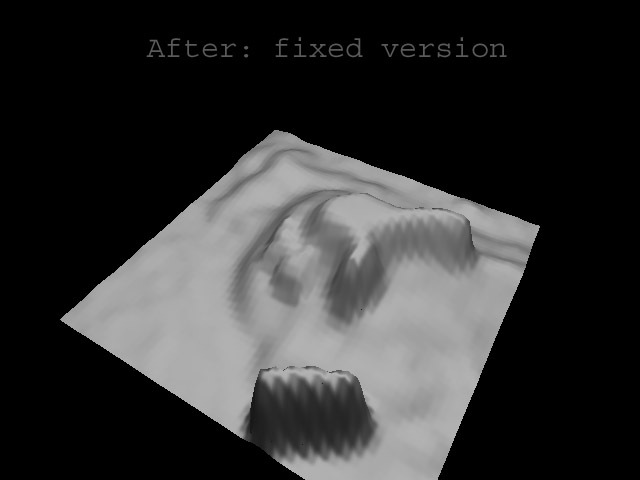 There are example images of the shadow line artifact and the smooth triangle normal flipping bug fixes, and the smooth height field normal interpolation bug compared to the bug fix. 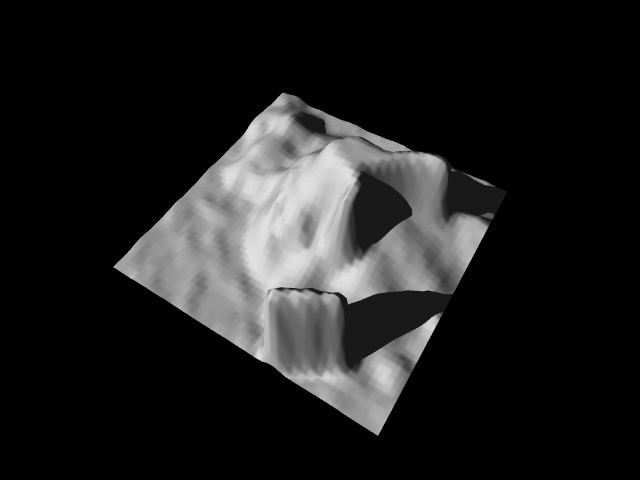 There are example images of four dimensional repeating noise (warning: 328KB animated gif), second derivative matching, an isosurface made from a 4D noise generator function, and a height field with the new smoothing type and smart triangulation (with my bugfixes applied), as opposed to the same height field rendered with POV-Ray 3.5. For details about the bugfixes and enhancements, see the documentation. Thanks to povray.co.uk for making people aware of this patch. Please note that the current version of Slime-POV available for download contains at least one bug triggered by turbulence in textures. An updated version may come sometime in the future. Any progress will likely be announced on my front page. The Slime-POV Windows executable and documentation (0.98 MB) are available for download. (The documentation is also available on this site.) I believe, though I am not certain, that the executable cannot be run without first installing the official version of POV-Ray 3.5, which can be obtained at the povray.org website. The Slime-POV source code (4.75 MB) can be downloaded separately. Please don't download the source if you don't plan on using it; I am only allowed so much bandwidth. Note that usage of the patch and the source code is subject to the terms and conditions in povlegal.doc. 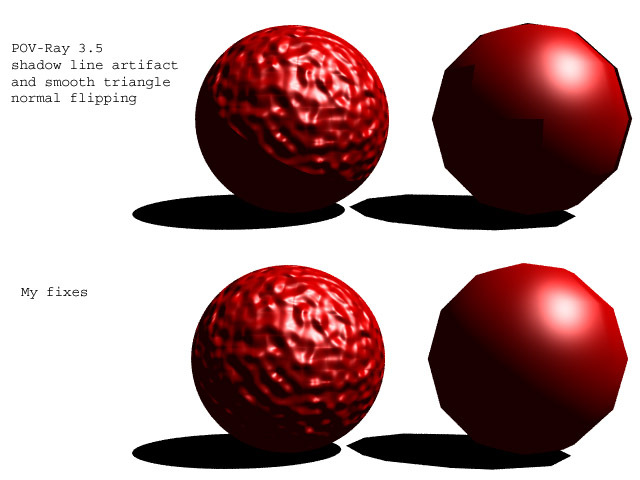 The POV-Ray Team should not be bothered about problems with Slime-POV; if you find a bug, tell me, not them.